Check our Upcoming Productions Page for more up-to-date information! In May 2015, Tony Williams introduced his own ballet company to the world by with a special intimate performance in Jamaica Plain. In September 2018 Tony Williams introduced a larger iteration of this company, City Ballet of Boston. Join Tony Williams Ballet as we collaborate with Green Street Studios at GSS Concerts! Green Street Studios is thrilled to introduce a new showcase series, GSS Concerts. Several times per year, GSS will gather area artists who represent the diversity and talent in our arts scene through “Genre Specific Shared Concerts.” Our goal is to highlight what area artists are doing in these genres and introduce existing audiences to new and exciting artists. By sharing and engaging audiences for that form, we will open doors to new patrons and facilitate dialogues that explore what we know and understand and what we do not. All questions welcome! Our first showcase will take place April 21-23 to Investigate Ballet!Description: A showcase of the Boston area’s most exciting and active ballet companies and choreographers. We present ballet across the spectrum of the genre from classical to contemporary/modern-infused. Tony Williams Ballet Company presents…. 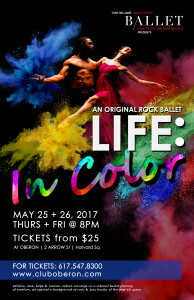 Life: In Color, an original rock ballet by Tony Williams. Politics, race, hope & human nature converge in a vibrant ballet journey of emotion, set against a background of rock & jazz tracks. of the past 60 years. Take a journey through the soundtrack of America’s past while we express a Life: In Color presented by Tony Williams Ballet Co., home of the Urban Nutcracker. Show dates areMay 25 + 26 at the Oberon Theater in Harvard Sq. As a young boy, Marina’s father contracted tuberculosis. Consumption, as it was then known, was a deadly disease literally consuming the weak, the malnourished, the poor. In post-revolutionary Russia, it had become an epidemic for which there was no cure. The doctor prescribed vigorous exercise to strengthen the body. Among other things, he mentioned ballet. Ballet was already an epidemic of its own. By the early 20th century, balletomania had spread to all layers of western society. Polish prodigy Vaslav Nijinsky drew crowds of delirious fans. When she saw him dance, 21-year old Romola de Pulszky broke off her engagement to a Hungarian baron and followed Nijinski on his tour to South America. In Russia, three Grand Dukes, including the future Tsar Nicholas II, courted the prima-ballerina Mathilde Kshessinska. And Anna Pavlova, a humble daughter of a laundress, reigned supreme on stages around the world. 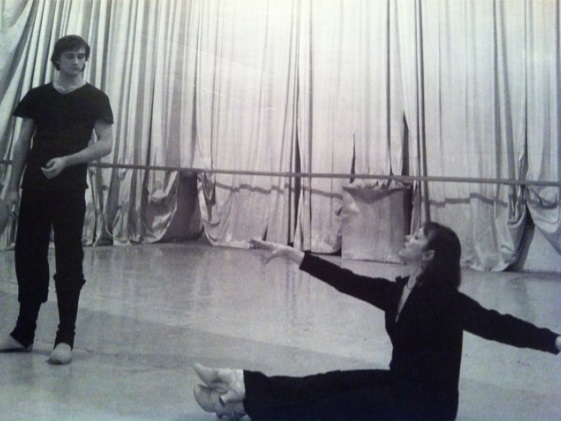 André Eglevsky recovered from his illness, but never from ballet. He attended Madame Kshessinska’s school in Paris. At age 14, he joined a professional company, Ballets Russes De Monte Carlo. Within six months he was dancing the lead parts. One of his tours brought him to America, where he would be called “the greatest dancer of his generation.” Ballets Russes had begun in 1909 as an effort to promote Russian ballet abroad. The original troupe starred Nijinsky, Pavlova, Kshessinska and other crown jewels of the Imperial Ballet. The company also employed the most visionary artists of its time. Another spectacular offshoot of Ballets Russes was George Balanchine. In 1930s Balanchine opened his own ballet school and a performing company. Long before Ballets Russes de Monte Carlo finally folded in 1968, many of its dancers and staff had migrated to New York City to work for Balanchine. André Eglevsky among them. It is no accident that the gods of dance favored Balanchine. He proved to be their most devoted servant. He continued to create new experimental technically, musically, and artistically challenging works until his death in 1983. His company, New York City Ballet, still holds the largest repertoire of any ballet company in America. Balanchine’s character was as unusual as his artistic signature. He was generous, loyal and broad-minded in a world full of rivalry, treachery and melodrama. While the old Ballets Russes routinely dismissed married dancers, Balanchine was friendly to young families. 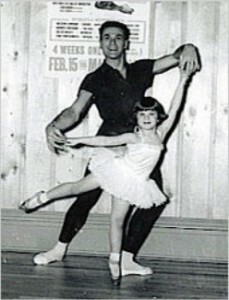 With both of her parents in the company, Marina grew up in his studios. Balanchine was not jealous or possessive. He encouraged his students to start their own companies and schools. 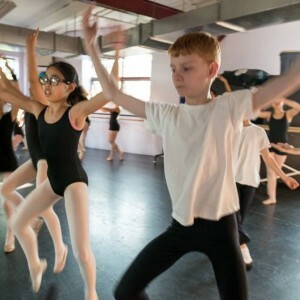 When André Eglevsky retired from dancing, Balanchine gave his blessing to open a ballet school on Long Island. He also gave Eglevsky the rights to many of his ballets. 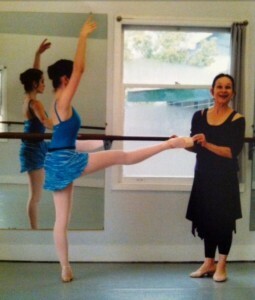 Today, the works Balanchine had bequeathed to her father are in Marina’s care. Which is how it happened that one Sunday afternoon she showed up at Tony Williams dance studios in Jamaica Plain, Massachusetts. After the Royal Winnipeg, Tony and Marina went their separate ways. Now she’s back in his life to help stage one of Balanchine’s works—Glinka pas-des-trois. 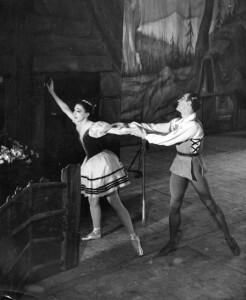 The ballet premiered in 1955 with André Eglevsky, Allegra Kent, and Melissa Hayden. It has since been danced by the finest ballet companies of the world. So, why Tony? Why now? recommended Williams’ company for a $144,000 grant from the Ford Foundation— and Boston Ballet was born. Chobee Hoy Associates Real Estate has stepped up and awarded the Tony Williams Ballet a $3,000 matching grant to our apprenticeship program! Take note that arts funding of the 13-18 year old demographic is shockingly low and we must pursue other avenues of revenue. 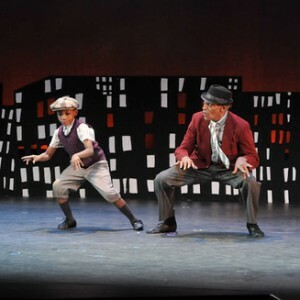 If you choose to donate, you will do so through the Boston Dance Alliance website where you will choose Tony Williams Dance Center through the drop-down menu. Thanks for your support! En Mayo de 2015, Tony Williams presentó su propia compañía de ballet al mundo con una representación especial y intima en Jamaica Plain. El 24 de abril marca el resurgimiento de esta compañía con nuestra Spring Works en progreso que presentamos en un escenario intimo con una amiga de la compañía, la Danza Organica, establecido por la bailarín puertorriqueña, Marsha Parrilla. Como un jovén, el padre de Marina contrajo tuberculosis. La consunción, como fue entonces conocido, era una enfermedad que consumía el los débiles, los malqueridos y los pobres. En Rusia pos-revolucionaria, se había convertido en una epidemia por lo cual no había una cura. El doctor prescribió ejercicio ardoroso para fortalecerse el cuerpo. Entre otras cosas, mencionó ballet. Ballet fue considerado una epidemia en su propio. Por el principio del siglo veinte, balletomania se había extendido a todas partes de la sociedad occidental. El prodigio polaco Vaclav Nijinsky atrajo un multitud de aficionados delirantes. Cuando lo vio bailar, Romola Pulszky a 21 años terminó su compromiso a un barón húngaro y siguió Nijinsky en su paseo de America del Sur. En Rusia, tres gran duques, incluyendo el futuro zar Nicholas II, fueron novios de la prima-ballerina, Mathilde Kshessinska. Y Anna Pavlova, la hija modesta de una lavandera, reinó supremo en escenarios por todo el mundo. André Eglevsky recubrió de su enfermedad, pero nunca de ballet. Asistió a la escuela de Madame Kshessinska en Paris. A 14 años, juntó una compañía profesional, se llamó Ballets Russes de Monte Carlo. Entre de seis meses, estaba bailando partes principales. Uno de paseos le trajó a America, dónde se volvería ser llamado “lo mejor bailarín de su generación”. Ballet Russes había empezado en el año 1909 como un esfuerzo para promover el ballet ruso al extranjero. La compañía original protagonizó a Nijinsky, Pavlova, Kshessinska, y otras joyas del ballet imperial. También, la compañía empleaba las artistas más visionarias de su época. Traducción: Después de que Nijinsky se había perdido la mente, le encerraron y dieron todas de sus papeles a mi padre. Fokine le enseñó los pasos personalmente. Otro producto espectacular de Ballets Russes fue George Balanchine. En los años treinta, Balanchine abrió su propia escuela de ballet y compañía de representación. Mucho tiempo antes de que Ballets Russes de Monte Carlo colapsó por fin en 1968, muchos de sus bailarines y miembros de empleados habían migrado a la cuidad de Nueva York para trabajar por Balanchine, y entre de ellos fue André Eglevsky. No es un accidente que los dios de la danza favorecían a Balanchine. Se probaba ser su sirviente más leal. Se continuaba crear nuevas obras que eran experimentas técnicas, músicas y artísticas hasta que su muerte en 1983. Su compañía, se llamó el New York City Ballet, todavía alberga el repertoire más grande de cualquier compañía de ballet en America. 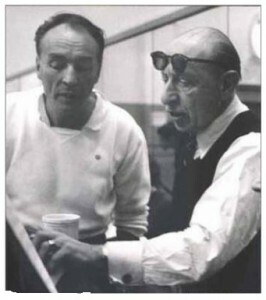 La fotografía: Balanchine y Stravinsky hacia el año 1953. El carácter de Balanchine era tan unusual como su firma artística. Era un hombre generoso, leal, y de mente abierta inmerso en un mundo lleno de rivalidad, traición y melodrama. Mientras el viejo Ballets Russes despedía a bailarines casados rutinariamente, Balanchine daba la bienvenida a familias jóvenes. Con ambos de sus padres en la compañía, Marina se crecía en los estudios. Traducción: Aprendí a bailar al mismo tiempo que aprendí a andar. No fui quién para estar en la misma clase de mis padres, pero señor Balanchine usaba permitirme entrar. Me quedaba después de la clase y lo miraba coreografíar bailes ‘en’ mi padre. Balanchine no estaba celoso o posesivo. Animaba que sus estudiantes empezaran sus propias compañías y escuelas. Cuando André Eglevsky se jubiló de bailar, Balanchine le dio su bendición para abrir una escuela de ballet en Long Island. Además, dio a Eglevsky los derechos a muchos de sus ballets. Hoy en día, las obras que Balanchine había legado a su padre se quedan en los manos de Marina, lo cual explica por qué apareció un domingo por la tarde al estudio de Tony Williams en Jamaica Plain, Massachusetts. Traducción: Cuando llegué en el Royal Winnipeg Ballet con mi esposo, Salvator Aiello, Tony estaba allí. Bailaba mucho con su compañera al tiempo, Bonnie Wyckoff, y mi esposo y yo bailábamos mucho junto. Así que estábamos dos parejas que estaban competiendo, pero nunca me sentí de esta manera. Bonnie y Tony eran gran bailarines y en vez de competiendo con ellos, me sentí una gran admiración para ellos, estaba emocionada aprender y ansiaba bailar con Tony mi misma, lo cual hice de vez en cuando. Siempre era una gran alegría bailar con Tony. Después del Royal Winnipeg, Tony y Marina se separaron. Ahora, sin embargo, ella ha vuelto en su vida otra vez para ayudar a representar una de las obras de Balanchine— Glinka pas-de-trois. El ballet se estrenó en 1955 con André Eglevsky, Allegra Kent, y Melissa Hayden. Desde entonces, lo ha estado bailado por las compañías más finas del mundo. Entonces,¿por qué Tony? ¿Por qué ahora? Traducción: Porque lo necesita. Él quiere construir una compañía y expandir más allá del Nutcracker. Estos ballets son gran para entrenar a los bailarines y atraer a las audiencias. No puedes equivocarte con Balanchine. Es un gesto generoso, meritorio del maestro si mismo. Balanchine ha ayudado más que una compañía empece. Sin él, no habría un Boston Ballet. Balanchine notó las obras de un coreógrafo de Boston en apuros, E. Virginia Williams y ofreció a entrenarla personalmente al New York City Ballet. En 1963, recomendó la compañía de Williams por una beca de $144,000 de la Ford Foundation— y de esto el Boston Ballet fue nacido. Traducción: Yo he hecho estas ballets desde que tenía 12 años, y Glinka era uno de ellos. Mi padre me enseñaba cómo bailarlos. Entonces, me enseñaba cómo representarlos. Eran el trabajo de un genio, como Mozart o Beethoven. Son eternamente creativos y siguen abriendo a un entendimiento y un desarrollo. Yo lo he hecho por la mitad de mi vida y nunca estoy harta de él. Estoy locamente enamorado de él. Viniendo a Boston fue un gran reunión. Tony está haciendo trabajo importante, y es maravilloso ver lo que ha creado en Boston. Espero regresar y apoyarlo en el futuro. Marina mantiene todas las versiones representados del ballet en film— todo el camino de regreso a los filmes que su madre sacaba de ella entre bastidores. Ella tiene además las notaciones de Balanchine, su padre y si misma. Pero también tiene las obras de carne y hueso. Como la tradición monástica, los ballets deben estar pasado a la próxima generación de maestro a discípulo. Por la línea viene el poder del baile para crear el baile…“This is a living art. We must pass it on.” Traducción: Esto es un arte en vivo. Debemos pasarlo. ¡Chobee Hoy Associates Real Estate ha mostrado su apoyo y dado el Tony Williams Ballet una beca correspondiente de $3,000 a nuestro programa de aprendiz! Esto quiere decir que si estuviera donar $1, ¡Chobee Hoy lo emparejaría con $3,000! Es una oportunidad maravillosa para nosotros a financiar nuestro programa esencial. Todas las donaciones se manejan por nuestro patrocinador fiscal a la Boston Dance Alliance y son desgravables. Este programa de aprendiz es una parte integral del Tony Williams Ballet. Por el programa, tenemos la habilidad a dar premios a un grupo de edad meritorio y diverso (los adolescentes jóvenes) la oportunidad a basarse en una experiencia prometedora, dándolos la oportunidad a considerar una carrera en el baile. Las escolaridades, por supuesto, hacen esta experiencia mucha más fácil. Dando el regalo de una educación en los artes es una consideración muy impactante (¡pregunta nuestro fundador, Tony Williams!). Nota que la financiamento de los artes de los adolescentes entre 13 y 18 años es asombrosamente bajo y debemos perseguir otras avenidas de ingresos. Si escoge donar, lo haga por el sitio de web de Boston Ballet Alliance (Boston Dance Alliance), dónde seleccionar el Tony Williams Dance Center por el menú despegable. ¡Gracias por su apoyo!